I often add my own twist or extend a lesson to something that covers a scientific topic, NGSS, or STEM. That also helps me make it more exciting to teach as well. There is only so many rocks you can wash or rub together before they start heckling you! 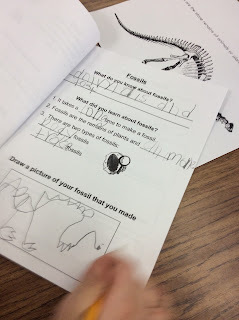 This week, in first grade we added fossils! Yes...those wonderful animals and plants that are so old that they turn to stone! They are found in the ground usually in sedimentary rock, and paleontologists dig for them...just like geologists dig for rocks! The connection begins! The real fossil hall is closed until 2019. 5. 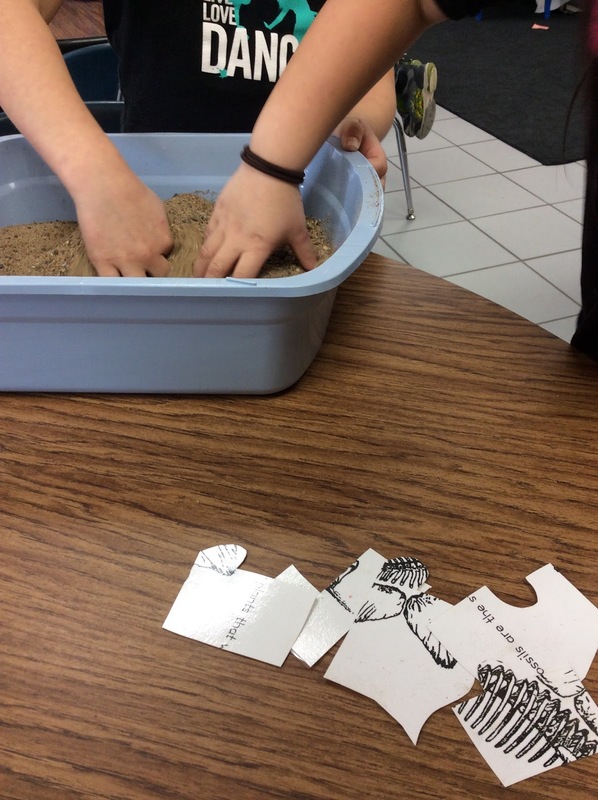 We then dig for fossil bones in a bucket of sand. Each student gets in a group of 3-4 at a table. They take turns digging for puzzle pieces I had laminated that had a dinosaur skeleton on it! They pass the bucket when they find one. This allows for everyone to have equal turns and a smoother activity! 6. 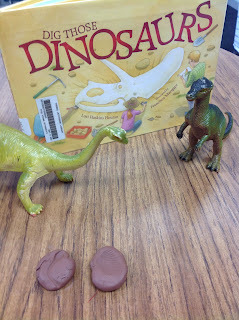 After the dig is over, I take the sand buckets and leave them to take it to the museum they will put the jigsaw together to rig their dinosaur for their exhibit! 7. When they are done...if done early they get to play with plastic dinosaurs at the carpet. 8. We then tour each exhibit (table group) to see their dinosaur. We really dig what they did as a team! 10. We create fossils using plastic snakes, bugs, dinosaurs, shells, and plant leaves. They each get a piece of pottery clay that dried into a "rock" quickly. I hope you were digging this post, too! Finding fun and easy ways to teach science and get your kiddos engaged is what makes learning special!